We are proud of the industrial packaging we have provided to our customers during our first quarter century in business. Learn more about our 25 years of growth. We, the owners, managers, and employees of CDC Packaging Corporation are committed to providing our customers with the highest possible level of quality and service. To this end, we will always put our customer’s needs first. We will strive to exceed their expectations. We will always be helpful and professional. But you don’t have to take our word for it; check the testimonials from our customers. And soon, our commitment to quality will be third-party verified! We have begun the process of certifying our quality management system by the ISO 9001:2015 standard. Always be fair and honest. Make self-improvement through learning a way of life. Be accountable in all that we do. All of our employees receive on-the-job training from experienced supervisors. They are gradually introduced to each step and procedure at a pace that fits the individual. Many of our employees are also certified forklift operators. CDC Packaging is a professional packaging organization. To protect our customers, we are fully insured for all operations. General Liability: All CDC employees and vehicles are covered while on your property. Product Liability: In the unlikely event that our packaging should fail, resulting in damage to your product, we are insured. Excess Liability: We carry a $5,000,000 umbrella policy to supplement our other liability policies. 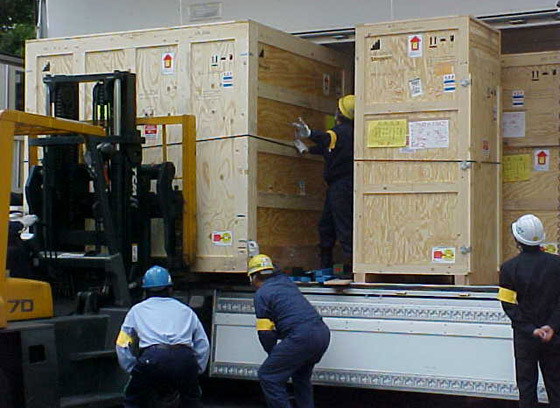 Contract Packaging: Our packaging crews are fully insured should they damage your product or facility. Workers’ Compensation: Per Federal Law, we carry workers’ compensation for our employees. At CDC Packaging, confidentiality is not just a buzz word. It’s a way of life. Many of our customers manufacture high-tech equipment requiring millions of dollars and thousands of hours of research and development. In this fast-paced global economy, technological advantages are key. You can be assured that your confidential information is safe with us. All CDC Packaging employees sign a confidentiality agreement insuring that they are legally bound to keeping your intellectual property confidential.